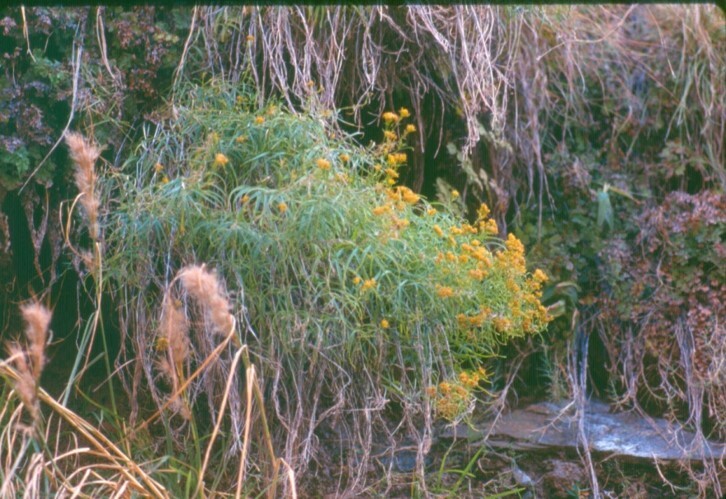 A yellow-flowering, 1m-tall shrub growing only in alkaline, Mississippian-Cambrian aquifer springs in Grand Canyon, between Miles 137 and 178 on both sides of the Colorado River. As a perennial, they have numerous stems, each with 3-6 flowers that bloom between September and November. The common name, McDougall's flaveria honors Dr. Walter B. McDougall, an ecologist who specialized in the flora of both Yellowstone and Grand Canyon National Parks, 1883-1980.